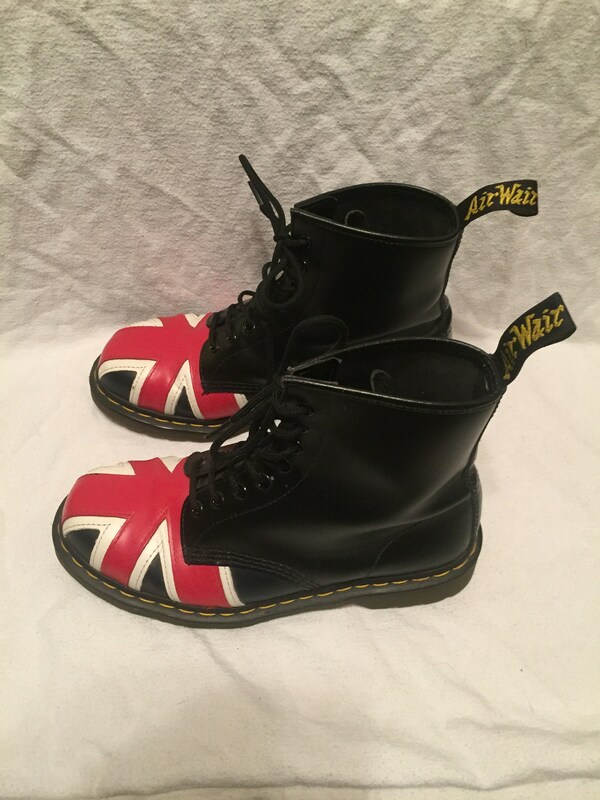 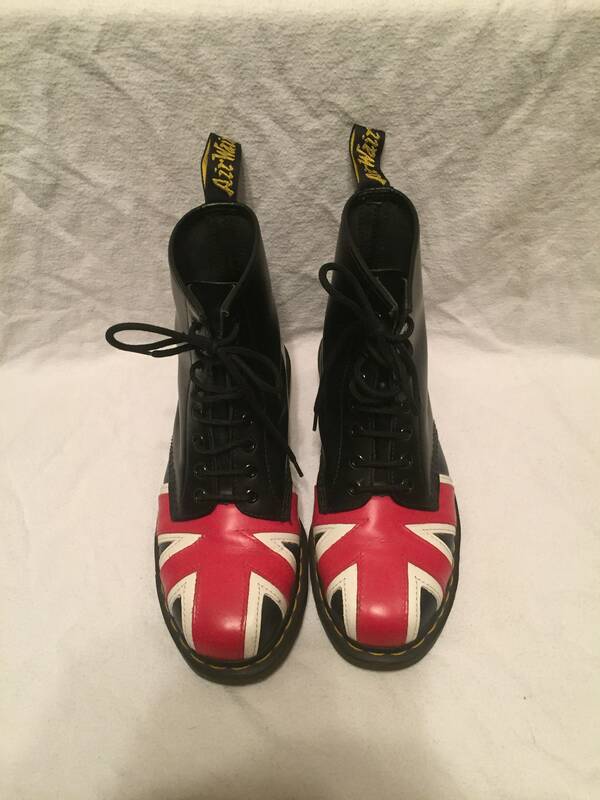 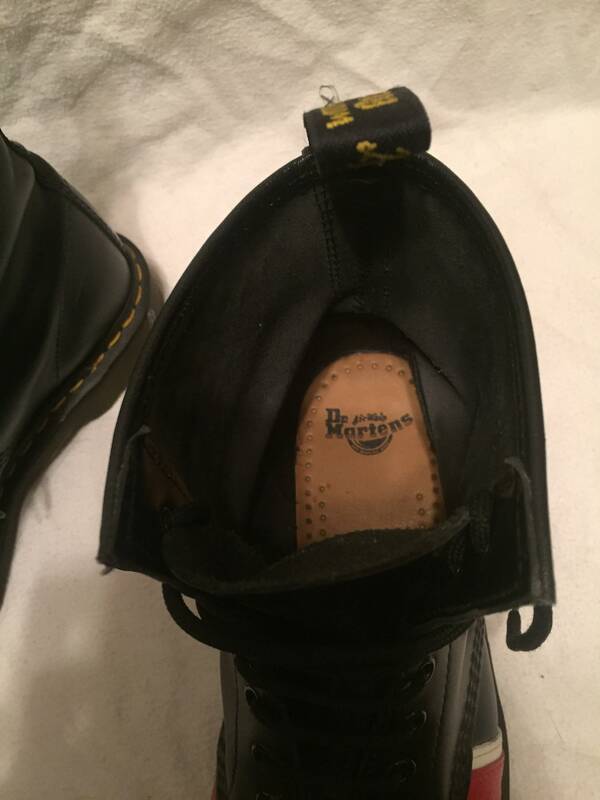 Vintage 90s pair of Dr. Martens AirWair Union Jack boots in a size 9 US. 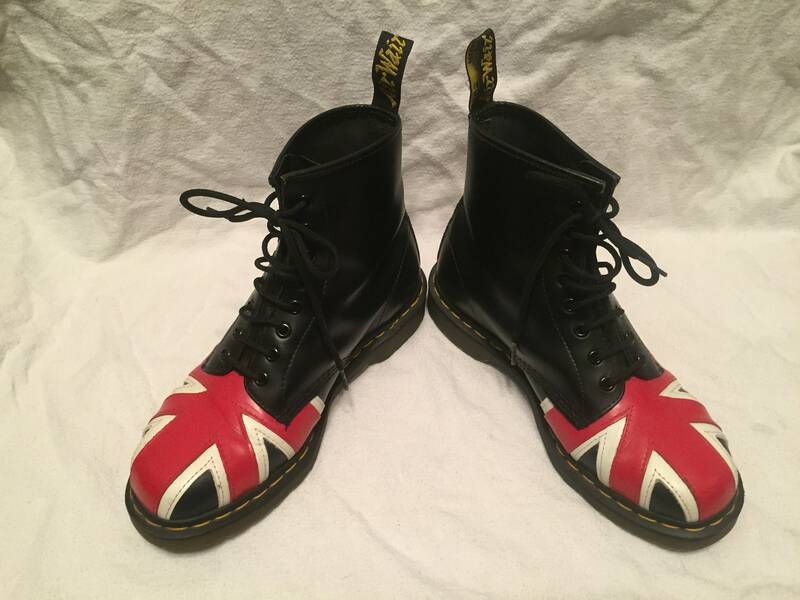 Black leather with Union Jack toe. 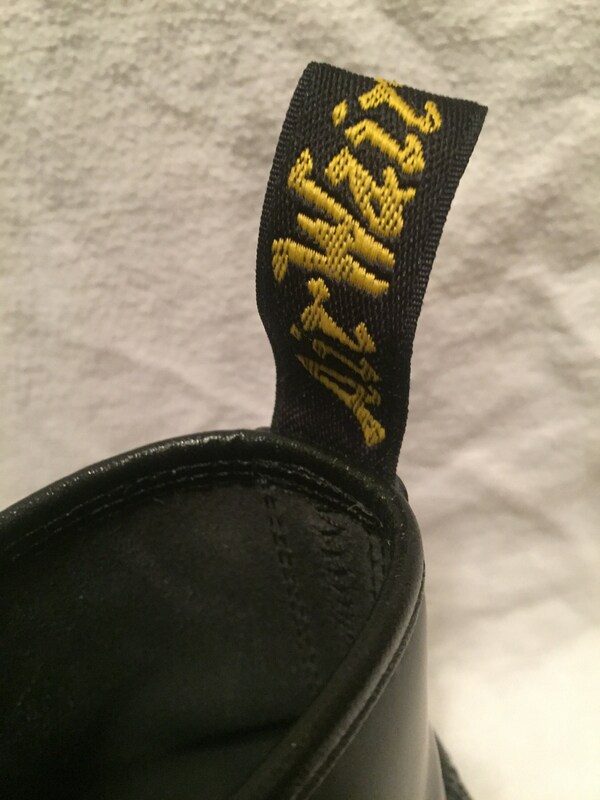 This particular style is DISCONTINUED. 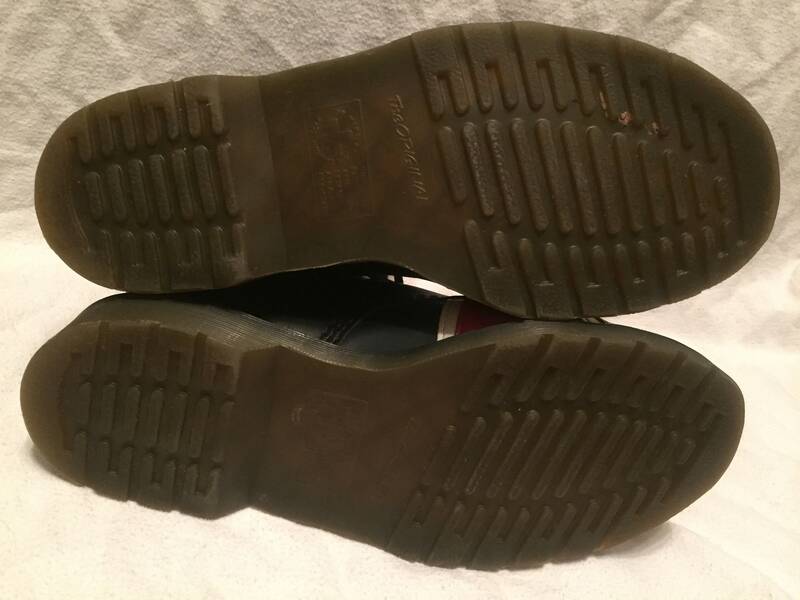 Very light wear; Like New. 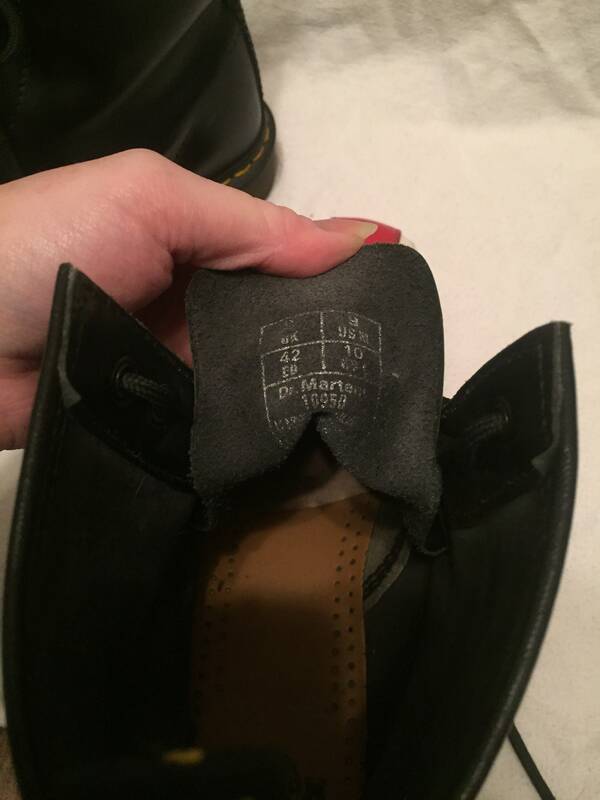 Pics are of the actual boots.